Annette Liberman Miller has performed on B'way, off B'way, in Boston and many regional theaters, as well in Film and Television. She has been a leading actor for the past 19 years with Shakespeare and CO. in Lenox Ma. She is a member of the Actor's Equity union as well as the Screen Actors Guild and American Federation of Radio and Television Artists and a former member of the Mass. Foundation for the Human Annette received an American Bicentennial Grant to do a PBS program on Women of the American Revolution. She originated the role of Golda in "Golda's Balcony" by William Gibson for which she received the the 2003 Elliot Norton Award and the IRNE (independent Reviewers of New England) award for Outstanding Actress. 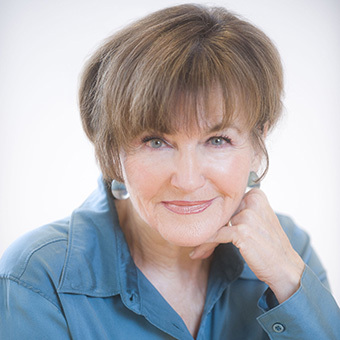 Annette also received the 2009 Elliot Norton Award nomination for Martha Mitchell in "Martha Mitchell Calling" and the 2012 prestigious Florida Carbonel Award nomination for her performance as Vi in "August Osage County" and in 2012 Annette excellence in the Arts and received an Excellency in Performing Arts Award from the Boston Children's Theater. Annette also received a special award for her contribution to the Arts from the Northeastern Region Hadassah. She won accolades for her most recent performance of Maria Callas in the 2013 Shakespeare and Co Production of "Master Class." In the summer of 2016 Annette will be featured in the play Sotto Voce by Pulitzer Prize wining playwright Nilo Cruz at Shakespeare and Co.
At the WSRC Annette developed a Theatrical Collage which explores the Pleasures and Perils of Our Third Chapter through Plays, Poems, Prose and Song. A successful reading of the first draft at the WSRC has encouraged Annette to tour the show in a theater, or for an organization/event. In 2015-2016 Annette has successfully performed this Theatrical Collage which she has named "Now is Our Time" at the Colonial theater for the Berkshire Theater Festival as well as for the New Center for Arts and Culture and New Bridge on the Charles. These are 3 different types of venues with the other 2 Actors and a pianist. The Co. can be reached at Noweisourtimetoo@gmail.com. I have finished the first draft of my Theatrical Collage of poems plays, prose and song and renamed it "NOW IS OUR TIME" the Pleasures and Perils of our Third Chapter. I performed the first draft with 2 other actors and a piano player I will be refining it and touring it to theaters and other venues.